MONTREAL, QC – After 25 years of exclusively brewing ales, McAuslan Brewery has announced the release of its first lager as a new autumn seasonal. St-Ambroise Oktoberfest Lager was first brewed in 2013 as a limited release for McAuslan’s Oktoberfest party. Now available on a wider scale, the 6% abv lager is brewed with Hallertau Tradition and Saaz hops, and is described as “an easy drinking lager with a remarkable flavour profile”. 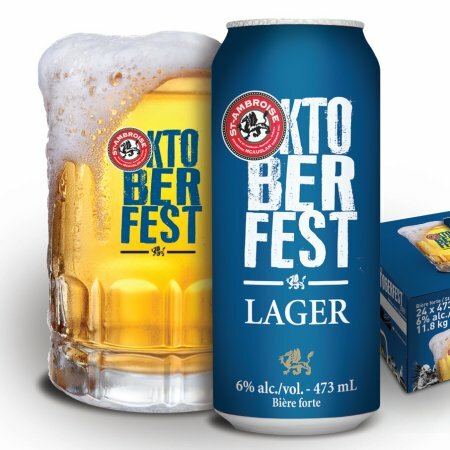 St-Ambroise Oktoberfest Lager will be available in cans and on draught throughout Quebec while supplies last.